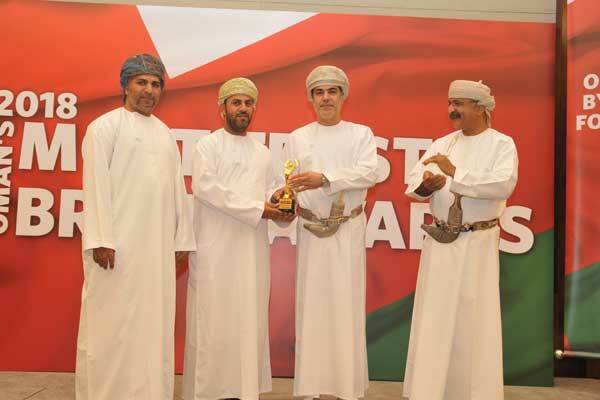 A'Saffa Foods, a fully integrated poultry and processed food producer based in Oman, was recently honoured with ‘Oman’s Most Trusted Brand’ award in the poultry segment. The award instituted by Apex Press and Publishing was presented to a representative from A’Saffa Foods at a special function held at the Crowne Plaza, Oman Convention & Exhibition Centre, under the auspices of Sayyida Tania Al Said and the patronage of Talal Al Rahbi, deputy secretary general of Supreme Council for Planning and the general coordinator for the Tanfeedh programme. In its 2018 edition, Oman’s Most Trusted Brand Awards endorsed top performing brands in the country, based on public feedback obtained in a survey conducted by Apex Press and Publishing. The awards ceremony was attended by their highnesses, excellences, chairmen, managing directors, chief executive officers, and senior executives from the corporate sector. “This award is a reflection of our commitment towards quality products; and our customer-centric approach. We would like to extend our sincere gratitude to all those who voted for us,” he added. A’Saffa Foods is investing heavily in enhancing their operations and developing their people, while remaining focused on delivering innovative food solutions to meet the needs of customers. Achievements such as these are an important part of the company’s strategy and vision. The company’s board of directors have approved an expansion plan to raise chicken meat production capacity by 100 per cent and continue in their endeavour to foster and support food security, self-sufficiency and increased employment opportunities in the sultanate. The total capital expenditure outlay of the expansion is RO45 million. It is noteworthy that A’Saffa Foods has also won the “mid-cap” category for Best Performing Companies, at the Alam Al-Iktissad Wal-Amal (AIWA) magazine’s Awards this year. The company takes pride in being accredited and certified by the international certifying body TUV and has been given the ISO 9001:2008 - Total Quality Management System, ISO 14001:2004 - Environmental Management System and HACCP - for Food Quality and Hygiene Proud.